I’m very fortunate to have the opportunity to bring my experience and talents to Planet Depos, a highly respected company within the legal industry, recognized for its focus on innovative technologies and exceptional client services. Planet Depos LLC, an international court reporting, interpretation, and trial services firm, is pleased to announce that Cindy Miklos has joined the company as Account Executive. Based in the Pittsburgh legal market for more than 13 years, Ms. Miklos built a distinguished career at FindLaw, the legal marketing division of Thomson Reuters, by providing internet products and services to law firms in the Western PA, West Virginia and Ohio areas. 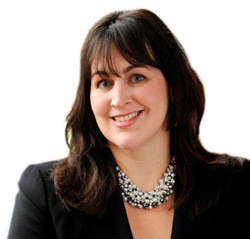 Cindy began working for FindLaw in 2003 as a Client Development Consultant based in the Pittsburgh area. During her time at Thomson, Cindy was recognized as a leading expert in helping law firms grow their businesses through creative digital marketing and internet strategies. Cindy currently lives in the North Hills of Pittsburgh with her husband and three children. Headquartered in Washington, DC, and with 60 offices around the globe, Planet Depos, LLC, is the only international court reporting agency led by court reporters and world-renowned industry experts. Planet Depos provides court reporting, videography, videoconferencing, interpretation, and trial support services throughout the United States and abroad to international law firms, worldwide corporations, and government entities. The Company has extensive experience reporting complex matters around the globe, including arbitrations, trials and depositions. A forward-thinking company, Planet Depos is conversant with the latest technologies and works closely with clients to implement case-winning tools, including streaming text and video, realtime to iPads, mobile videoconferencing, and digital exhibits.